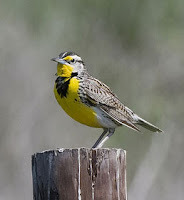 3 Best of Everything: "The Birds are Back, and it Makes me Happy"
"The Birds are Back, and it Makes me Happy"
Our state bird, the Western Meadowlark! Aside from just making gorgeous jewelry, Jami also makes a consistent effort to gather Etsy artists around Montana and celebrate their art in her treasuries. Amen to that! Connect with Jami's business today on her Facebook page! And most of all, enjoy the beautiful beginning of Spring! Help! My blog is buried by schoolwork!